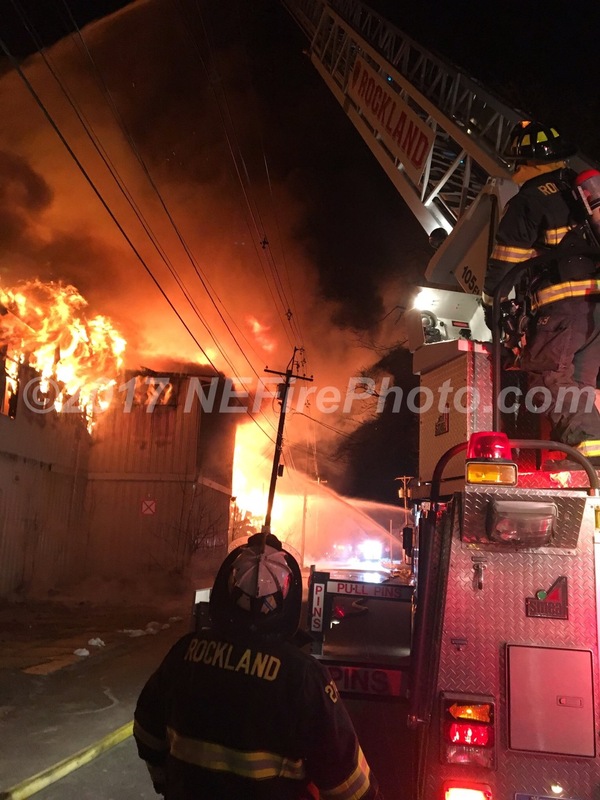 A massive fire began during the early hours of the morning at 65 Park street in Rockland. For those who aren’t familiar, that is the one-way street off of Union Street in the center of town. 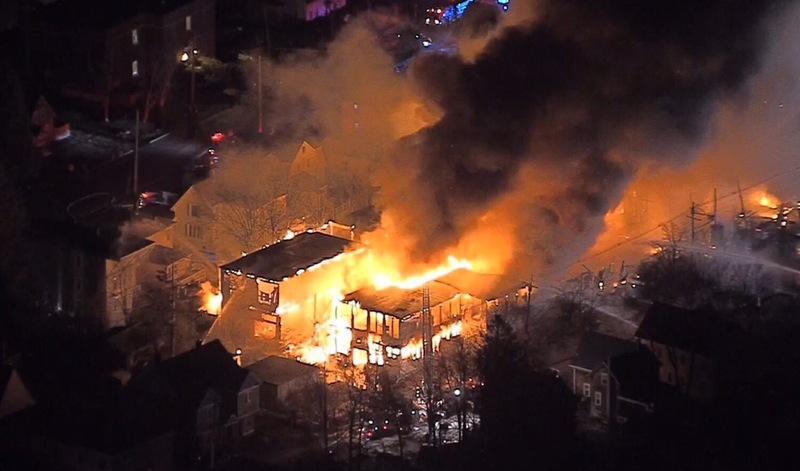 What is being reported as a 7 alarm fire (as of this publishing) has led to nearby home evacuation, as well as power outages scattered through the area. 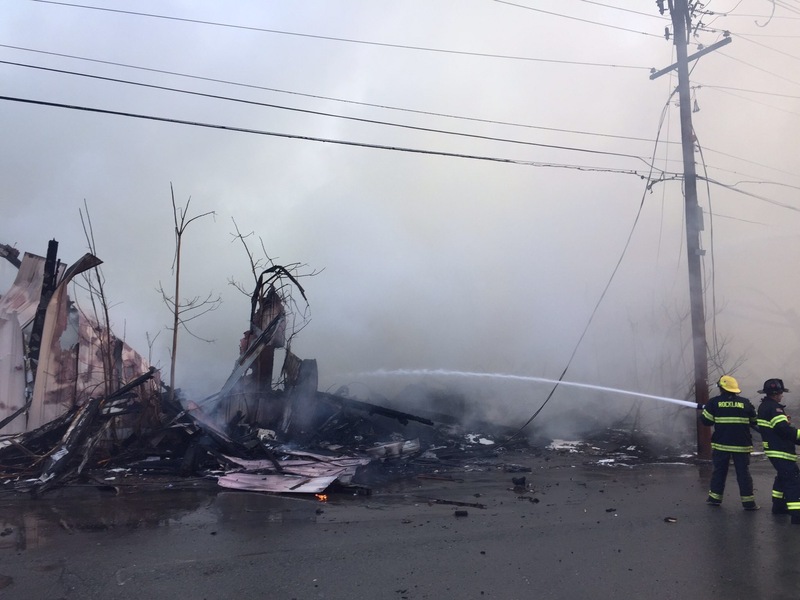 The fire was reported to be so big that the amounts of black smoke were being picked up on local news radars. Rockland Public Schools were originally delayed two hours by Superintendent Dr. Alan Cron, but we are now awaiting a statement from the Department of Education in regards to MCAS testing, which was scheduled for this morning at 8:00. RHS principal John Harrison sent out a mass email regarding the situation. The testing was supposed to last until 10:38 this morning, but we are all on hold until after 8:00 when the Department of Education is expected to make a statement. Thank you to the brave men and women battling the fire to keep our beloved town safe.